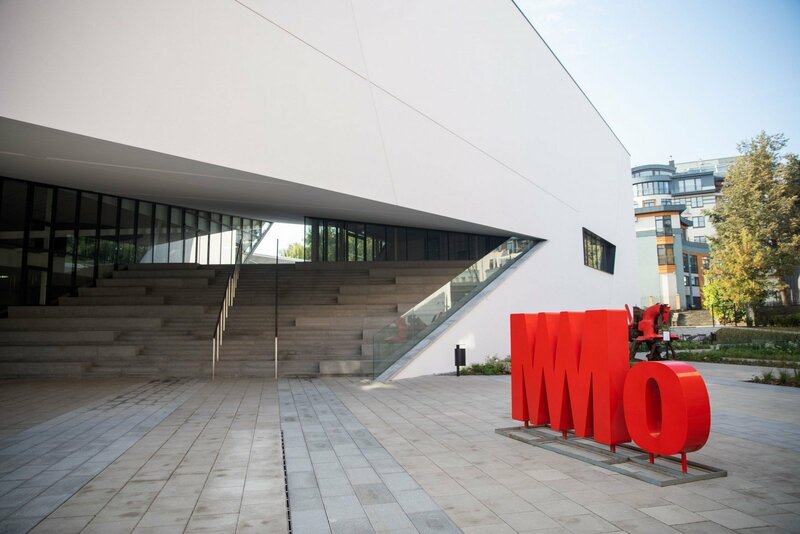 The opening of the MO Museum of modern art in Vilnius will start on Oct. 18 and will last four days, and the first exhibition will include 346 pieces of art from the collection of the museum's founders Viktoras Butkus and Danguole Butkienė. Professor Raminta Jurėnaite, the curator of the first exhibition says it was difficult to pick exhibits for the first exhibition due to their abundance. "The collection has been assembled for ten years and it contains real treasures for many exhibitions, therefore, it's difficult to make the first one as many pieces of art in it just yearn to be exhibited immediately," Jurėnaitė told a press conference at the museum on Tuesday. While selecting exhibits, the curators focused on 71 authors, and the works cover the period of the past six decades. Jurėnaite said the exhibition reflects different periods of Lithuania's history, ranging from the Soviet times to the national revival movement Sąjūdis, the independence restoration and the period of change. Over 70 events will take place during the four opening days, Vilma Balčiūnienė, head of the UP event marketing agency. The MO Museum will host an exhibition of Lithuanian modern art from 1960 until present day and will include paintings, pieces of graphic art, photography, sculpture and visual art. The museum's patron Butkus confirmed the building's architect Daniel Libeskind would also attend the opening. The construction began the MO Museum was started in the spring of 2017 after a cinema which stood here for more than five decades was demolished.